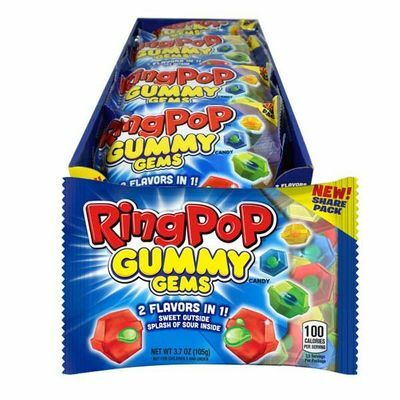 Ring Pops Gummy Gems. Two flavors in one. Sweet on the outside with a little sour on the inside. There are 16 bags per box.